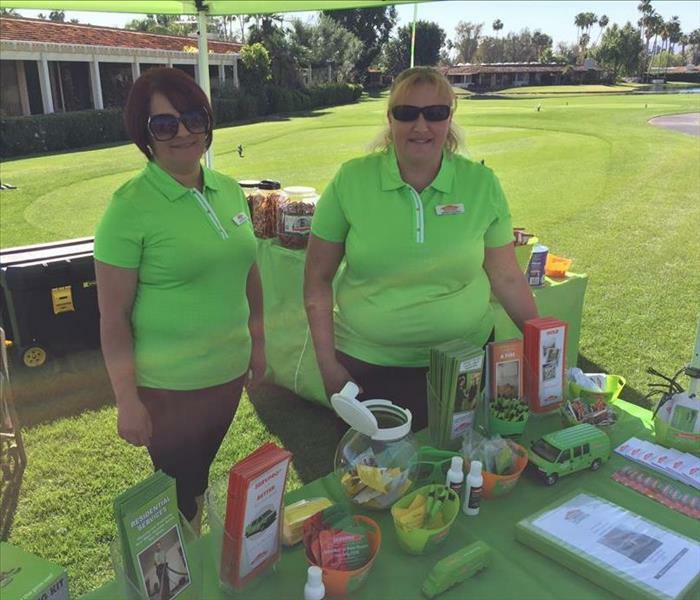 SERVPRO of Palm Desert's own Ronda Henry showed up to the Nine Cities Challenge at the Palm Desert Community Center. 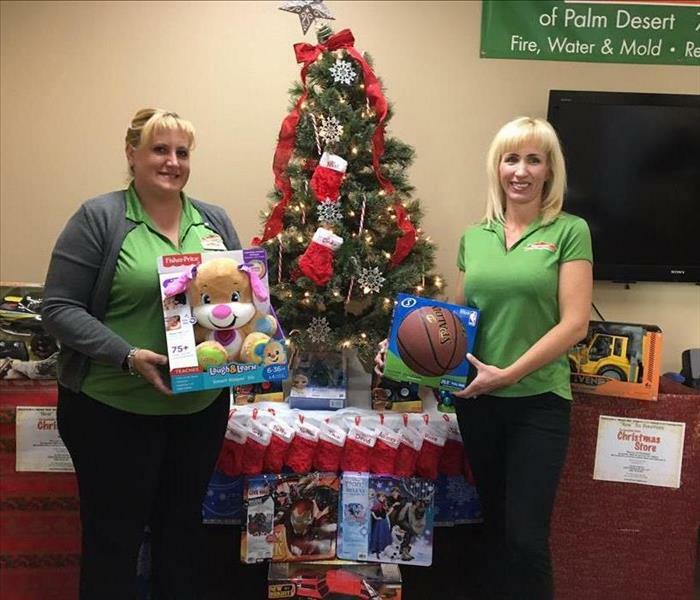 At SERVPRO of Palm Desert, we support the community in saving lives, especially in the Coachella Valley. SERVPRO of Palm Desert was honored to be part of a committee that selected candidates from Palm Desert High School, Palm Springs High School & Shadow Hills High School for Scholarship Awards presented by California Desert Associat of Realtors. Annual Board Member Appreciation Event presented by Desert Resort Management. 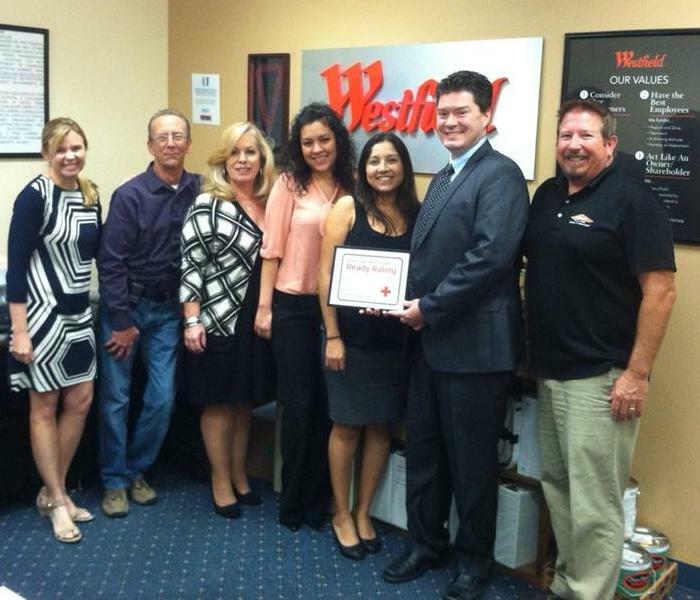 Bob Barber from SERVPRO of Palm Desert with part of the team from Desert Resort Management. March 2014 Race to Be Ready - Emergency Preparedness by the City of Rancho Mirage held at the Rancho Mirage High School. 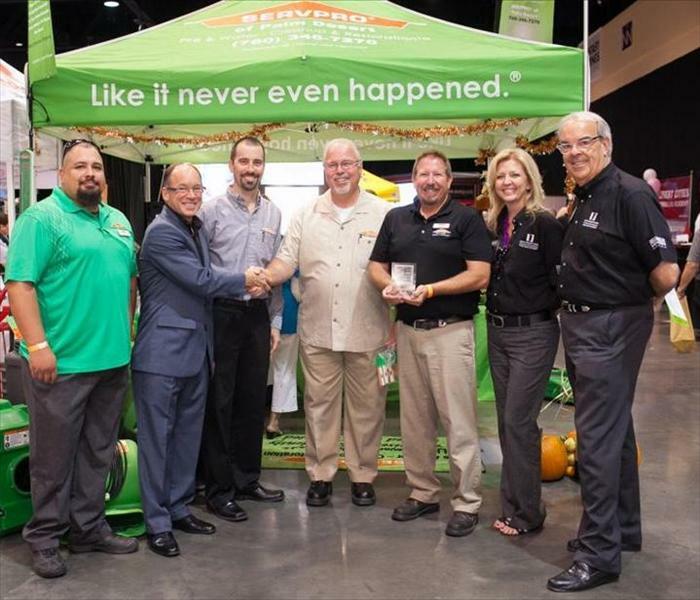 SERVPRO of Palm Desert Team with the Large Loss Trailer exhibit! 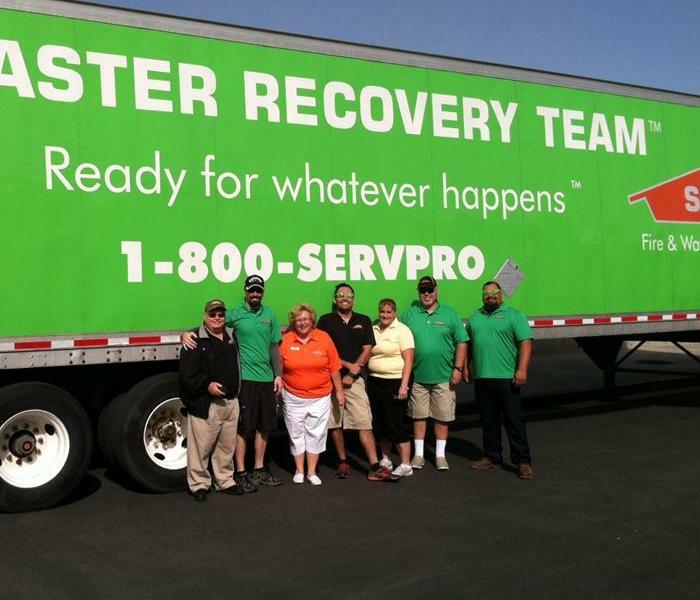 Robert Barber with SERVPRO of Palm Desert recently met with staff at Our Savior's Community Lutheran Church in Palm Springs to help them get American Red Cross Ready Rating. 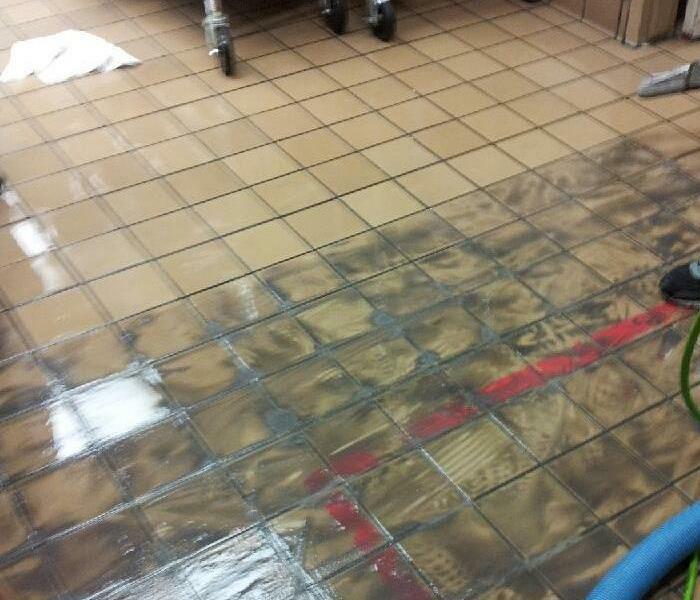 What a Great Example Our Savior's Lutheran sets to be Ready in Any Emergency! 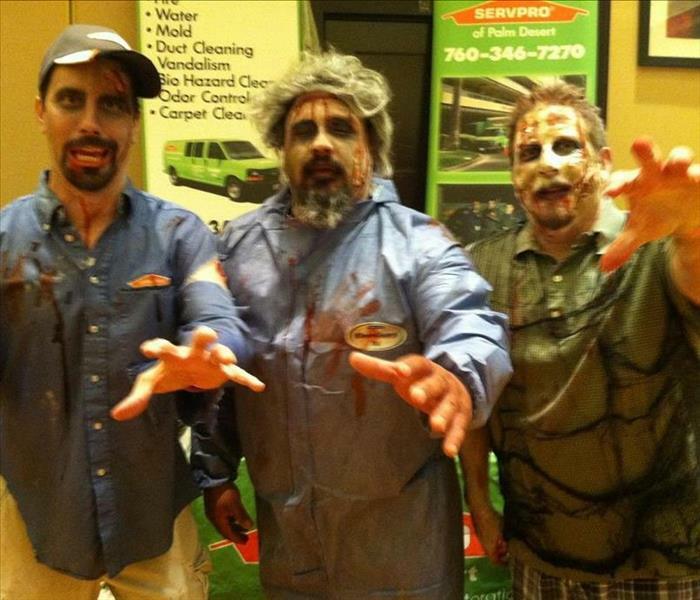 Aaron LeBrun, Randy Bernal, Robert Barber having a spooky good time at the Affiliate Expo for the CDAR at the Agua Caliente Resort Casino in Rancho Mirage, Calif.
Denise from Rancho Mirage Wins the drawing for a movie and dinner at the Palm Desert Chamber Business Expo held at Fantasy Springs Casino! 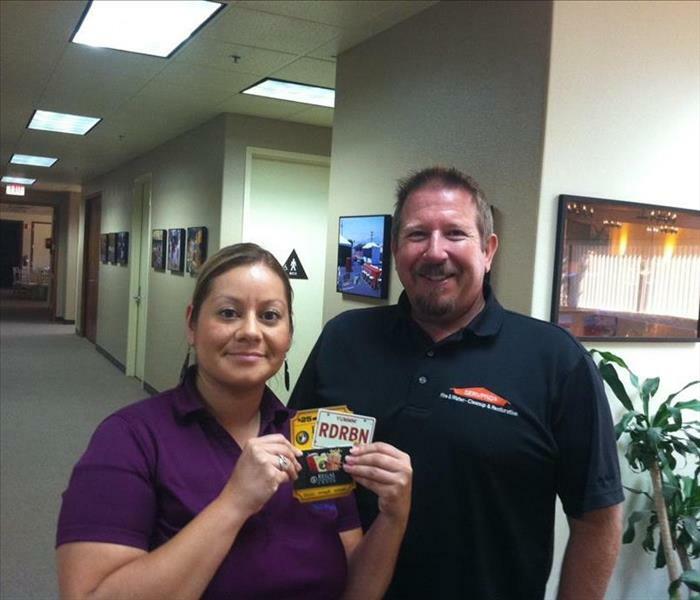 SERVPRO of Palm Desert Marketing Rep Robert Barber was happy to surprise Denise! 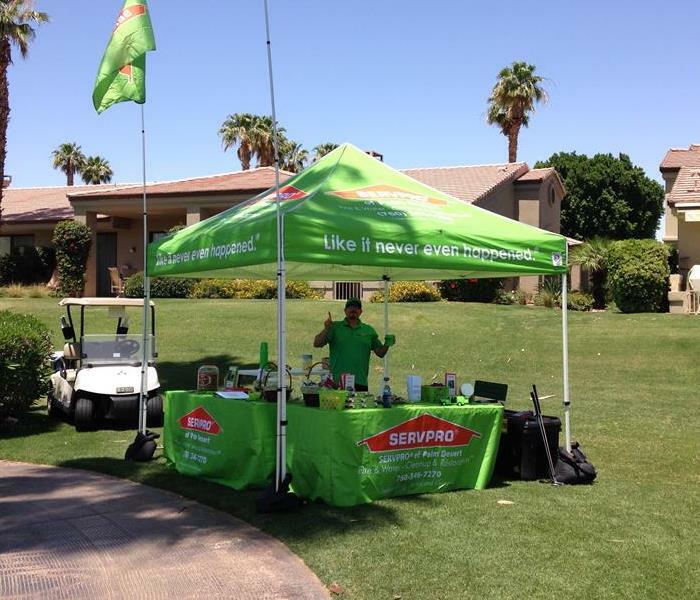 SERVPRO of Palm Desert had a fantastic time at the Annual 2016 Community Association Insititute Golf Tournament held at the beautiful Springs Country Club in Rancho Mirage, California. Bob from SERVPRO of Palm Desert out in the heat serving donuts to Air Conditioning Technicians. 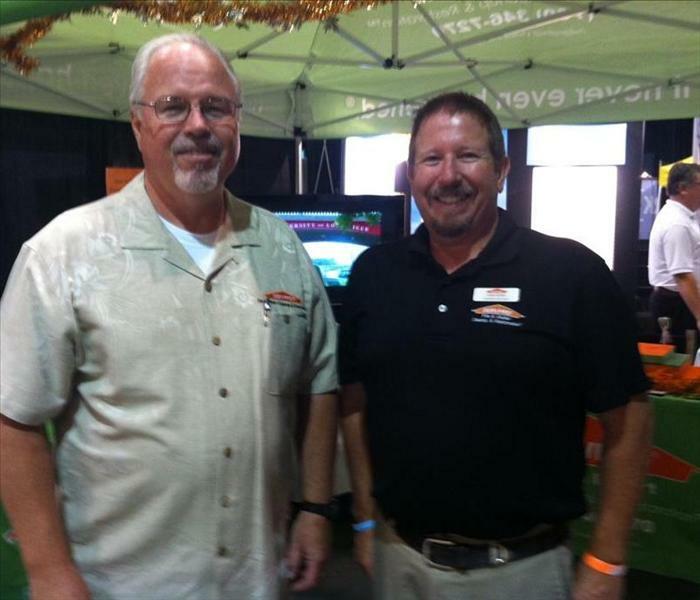 Neal Tauferner and Robert Barber from SERVPRO of Palm Desert enjoying the Palm Desert Chamber Business Expo 2013 at the Fantasy Springs Casino. There was an incredible turnout! 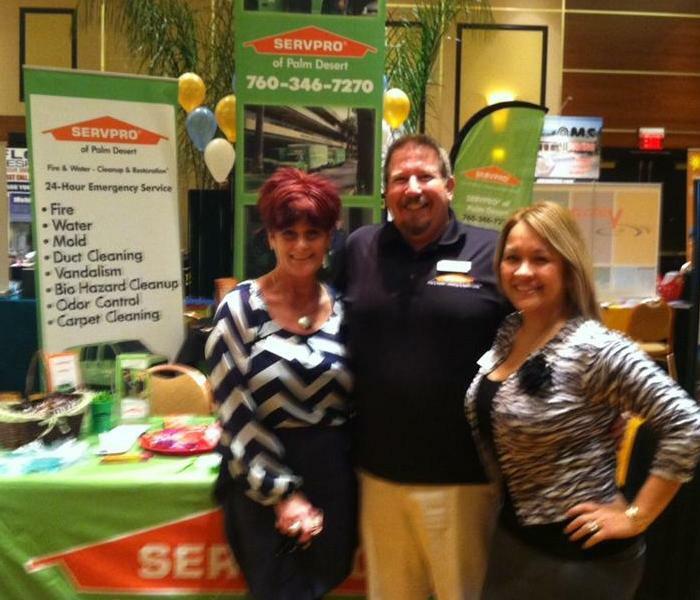 SERVPRO of Palm Desert being congratulated by the Palm Desert Business Expo representatives! 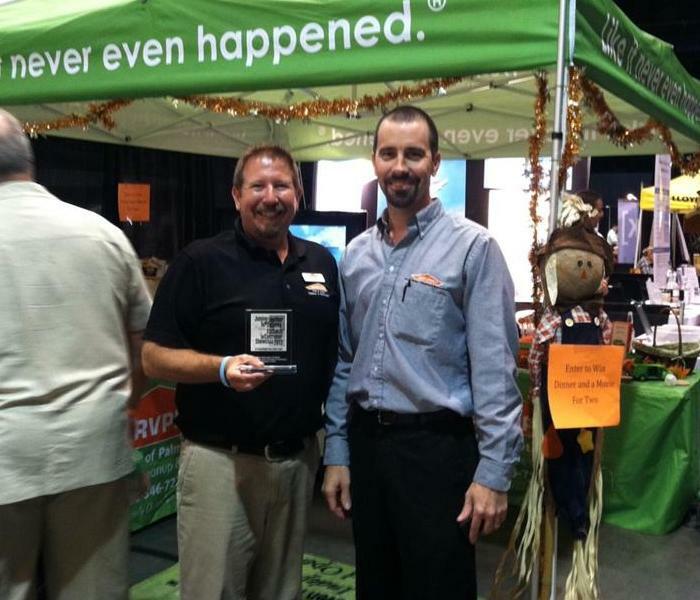 SERVPRO of Palm Desert is humbled to be among so many exhibitors telling their story. Aaron LeBrun, Randy Bernal, Robert Barber and Neal Tauferner proud to accept award! 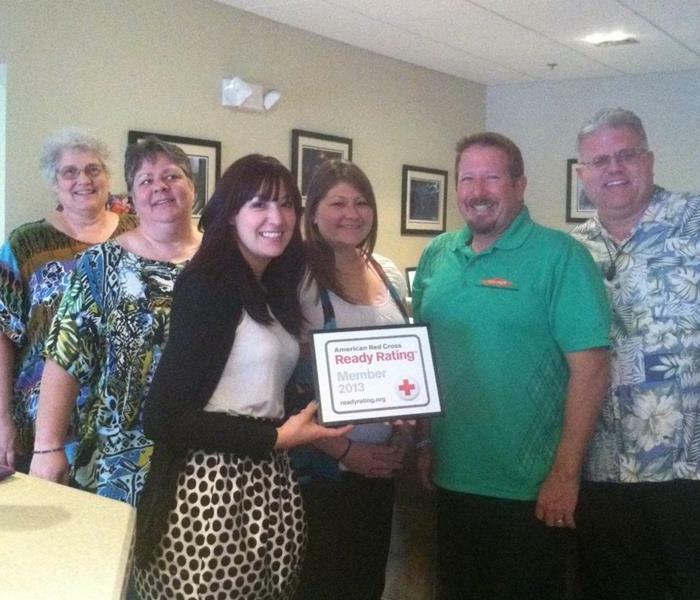 Westfield Palm Desert Mall Staff being Ready Rated for the American Red Cross. Congratulations! May 2014 CDAR Golf Tournament. 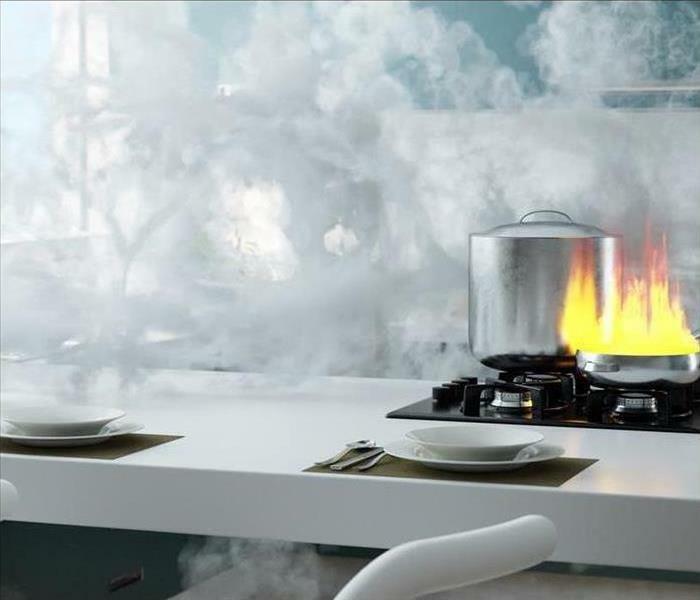 Fantastic Weather!